In Genesis Chapter 1 we read the story of how God created the universe. In this Bible study we see the importance of men and women in relation to all other things God created. 1. Who is the only actor (or one who takes action) in Genesis chapter one? 2. In Genesis chapter one, the word God appears 32 times (in the Christian Standard Bible at least). What do we learn about God from Genesis chapter one? 3. List the things God found “good” among His creations from Genesis chapter one. What do you find astounding? What aspect amazes you about it? What inspires you to worship Him? What do you think is His most beautiful creation? 5. List the 5 commands God gave mankind in verse 28 of Genesis chapter one. 6. How does verse 26 of Genesis chapter one contradict the theory of evolution? 7. Summarize below what God created each day. 8. Consider the table below. It illustrates the idea that God created “resources or forms” as listed in the left column, as well as his creations that “utilize” those resources.1 What does this say about the Creator and his creation? 9. True or False? 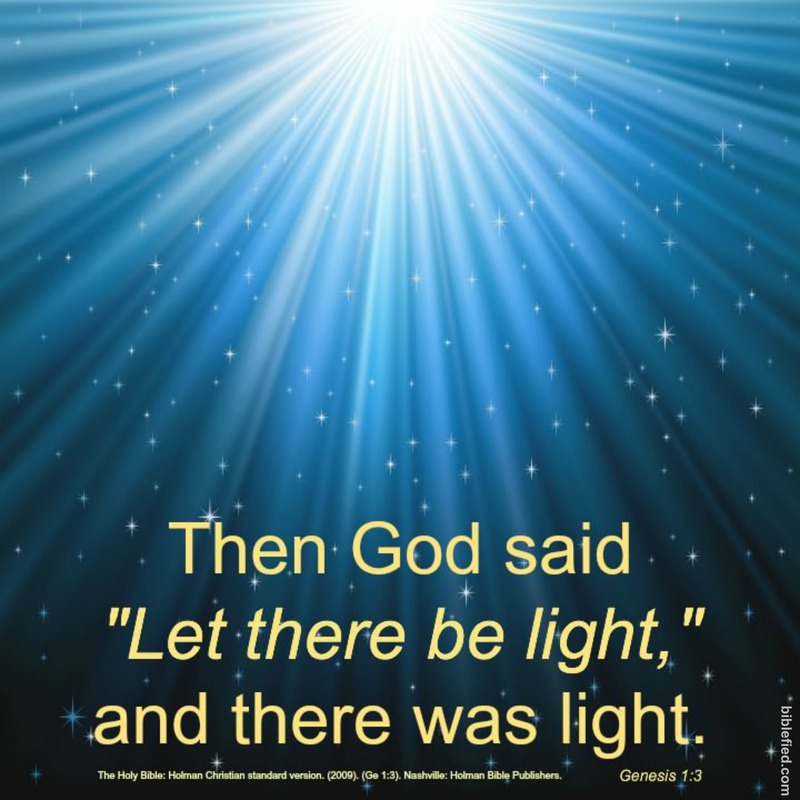 From the text of Genesis chapter one, it's possible to say that the first two things God created were time and space. Explain your answer. 10. How are we created in the image of God if God is spirit as Jesus explained in John 4:24? Also, how are we different than God’s other created beings? 1 Bruce K. Waltke and Cathi J. Fredricks, Genesis: A Commentary (Grand Rapids, MI: Zondervan, 2001), 57. Click here to compare your answers for this Bible study lesson. We pray this Bible study on Genesis Chapter 1 has blessed you.